A group of Senate Democrats are charging that billionaire Carl Icahn is using his role as President Trump's regulation buster for his "own personal gain." Senators Elizabeth Warren, Al Franken and four colleagues sent the White House and EPA letters this week demanding answers to a series of questions they've raised about Icahn's vast business empire and his role as a Trump adviser. The group has heard nothing but radio silence from the Trump administration since they fired off a February 13 letter warning about an "unacceptable risk" of "real or potential conflicts of interest." 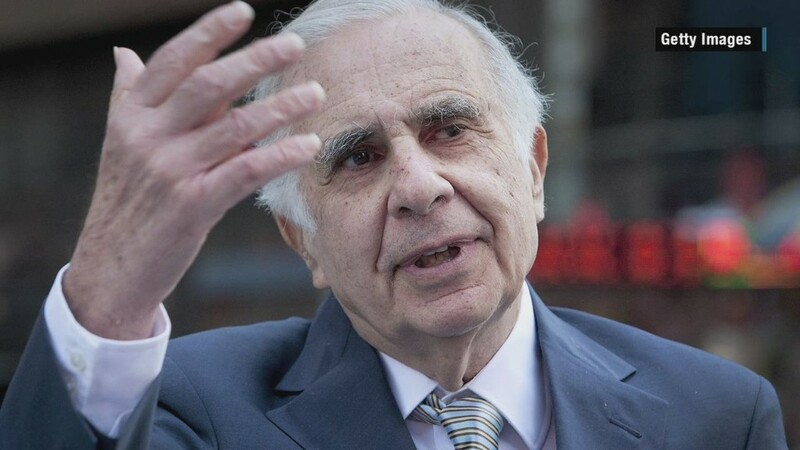 The senators said Icahn's early actions on regulatory reform have only "deepened our concern." Specifically, they point to Icahn's reported role in influencing EPA regulations that are hurting CVR Energy, an oil refiner he owns a substantial stake in. CVR (CVI) shares soared 6% in the two days after Bloomberg News reported that Icahn and a trade group presented the White House with a deal to revamp the renewable fuel standard rule. Icahn has told CNN he believes the EPA regulation is "natural stupidity" and could cost CVR $200 million. Progressive advocacy group Public Citizen filed a complaint earlier this month alleging Icahn broke lobbying rules by failing to register as a lobbyist despite proposing this change to EPA rules that would help a company that's 82% owned by him. "He has taken the first opportunity to leverage his newfound political power for his own personal gain," the Senate Democrats wrote in the letter. Icahn has also said he was consulted on Trump's nomination of EPA chief Scott Pruitt, who recently told CNBC he doesn't believe carbon dioxide is a primary contributor to global warming. "We are not aware of any efforts from either the Trump administration or Mr. Icahn to address these serious conflicts of interest," the Senators wrote. Icahn didn't respond to a request for comment on the latest letter from Senate Democrats. However, earlier this month Icahn told CNNMoney he believes these conflict-of-interest allegations are "completely ridiculous." "I don't talk to Donald that often," Icahn said at the time. "Would you say that Jamie Dimon, who knows banking, shouldn't talk to him because he also owns bank stocks? It's absurd to say that." Still, Senate Democrats want the White House and EPA to answer a series of questions by March 23. Among the questions, the lawmakers asked whether Icahn "provided advice or input" to Trump or any other official about the renewable fuel standard policy. They also asked whether Icahn has "obtained an official government email address," a "government phone line" or used any other government resources in his capacity as a special adviser. The EPA didn't respond to a request for comment. A White House spokesperson Kelly Love repeated earlier comments that Icahn is not a government employee and is "simply a private citizen" whose opinion Trump respects. "Mr. Icahn does not have a position with the administration nor a policymaking role," Love said.